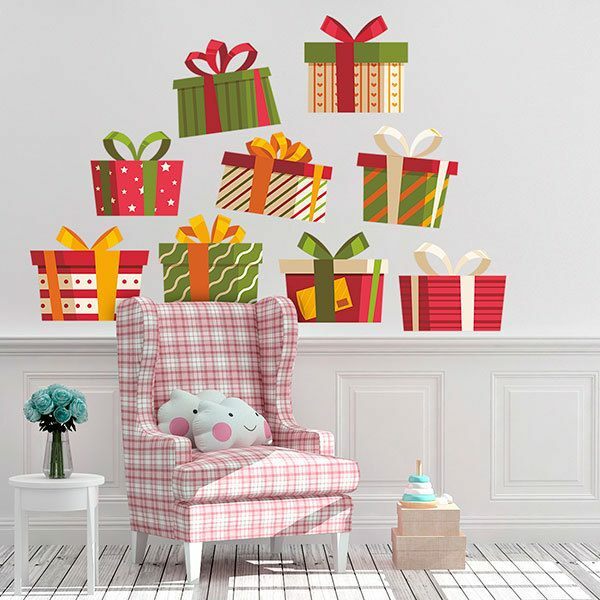 Kids wall sticker Christmas gift kit. Complete kit that includes 9 Christmas gifts with different wrapping. 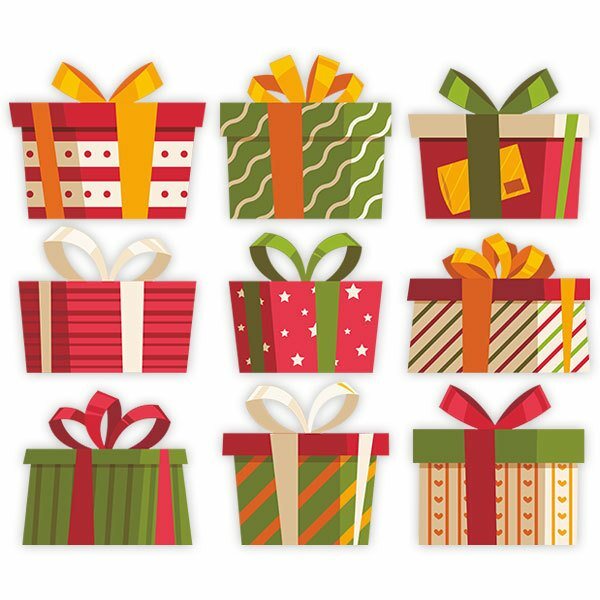 These are the gifts that Santa Claus will bring or the magical kings if we have behaved well throughout the year. Use scissors and cut them to create your own composition. Size: 73 x 35 cm. 18.50 x 15.75 in. 23.23 x 19.69 in. 27.95 x 23.62 in. 32.28 x 27.56 in. 37.01 x 31.50 in. 41.73 x 35.43 in. 46.46 x 39.37 in. 51.18 x 43.31 in. 55.91 x 47.24 in. 60.63 x 51.18 in.